Your house is a total disaster and that is not even the worst part, as you are expecting guests from outer town. If that is you case, then stop wasting valuable time and get in touch with us. We are licensed and seasoned contractors and we offer high-quality cleaning services in Kensington at cost effective prices. 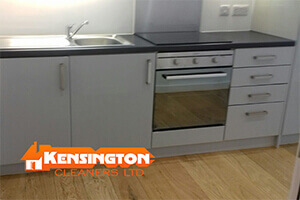 At Kensington Cleaners LTD, we have a team of hard-working and highly qualified sanitation specialists that will diligently clean every corner, nook and inch of your household. We subject all our cleaners to a rigorous training session upon employment because we want them to work in full accord with the highest requirements of the industry. We firmly believe that a company is only as good as its workers are, and this is why we hire only the most competent and accomplished technicians. Our cleaners are equipped with top of the line steam cleaners, jet washers, box sweepers and other machines, so you can rest assured that they will be able to sanitise easily even the most tarnished and hard-to-reach areas of your home. After all, we are reputed of providing the most complete one-off cleaning services. We can also draft a customised sanitation schedule in accordance with your needs and personal agenda, and if necessary adjusted it periodically. Your satisfaction is our primary goal and we are ready to go beyond our call of duty in order to offer you one-off and regular cleaning services in Kensington that will solve all your sanitation issues. As we mentioned above, we work with affordable rates. We charge £12.5 per hour per cleaner for one-off cleaning, while our contract sanitation options commence at £9 per house per cleaner for 6+ hours a week. Beard in mind that business owners can also take advantage of your assistance as commercial single-time sanitation options are valued at £13 per hour per cleaner, whereas regular cleaning starts from £10 per hour per cleaner for three to five hours a week. As you can see for yourself, our prices are indeed reasonable and will certainly accommodate your budget. Our one-off and regular cleaning services in Kensington are fully insured. They are also tailored to be eco-friendly and this is why we use only non-toxic and non-chemical detergents. The products that we use allow us to provide to our clients a clean and healthy indoor environment that lacks any harmful particles such as germs, bacteria, pests, dirt, dust and allergens.